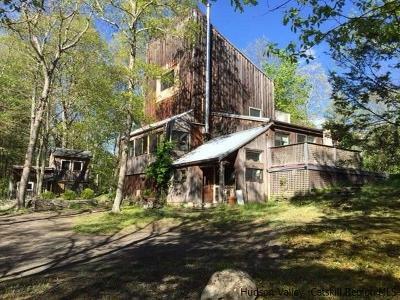 ONE OF A KIND HOME. 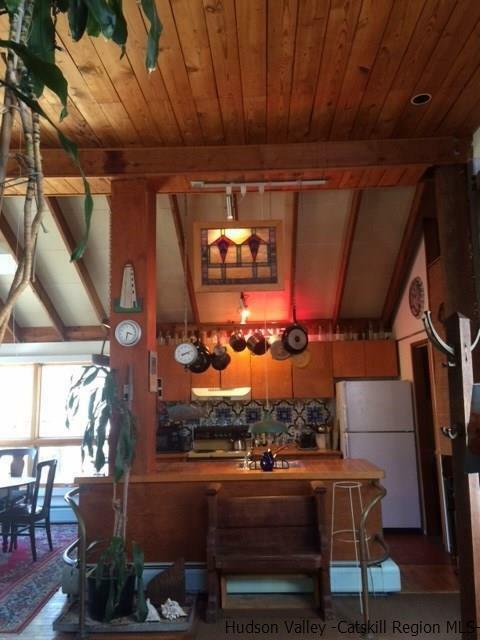 OWNERS WORKMANSHIP & TIME DEVELOPED THIS UNIQUE OPEN HAND CRAFTED HOME WITH VAULTED CEILING THROUGH OUT WITH MOUNTAIN VIEWS . 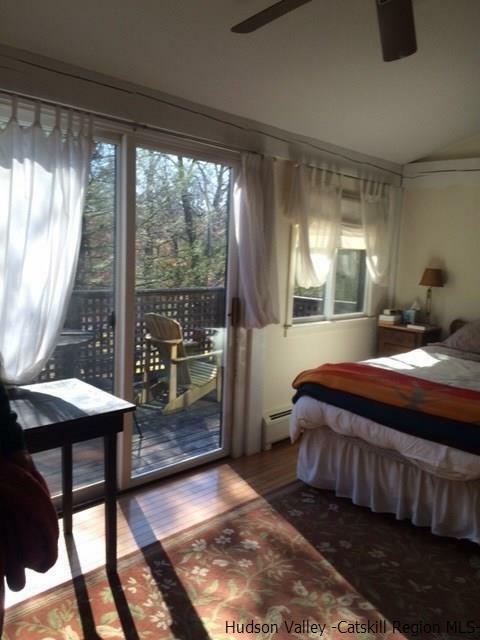 MAIN FLOOR MASTER BEDROOM WITH BATH HAS ACCESS TO A PRIVATE DECK WITH REDWOOD OUTDOOR SOAKING TUB. 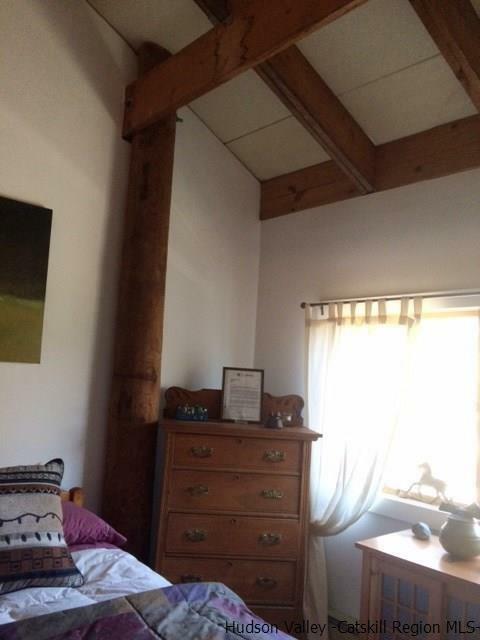 THE SECOND FLOOR WITH 2 BEDROOMS HAS SAFETY FEATURES FOR CHILDREN. 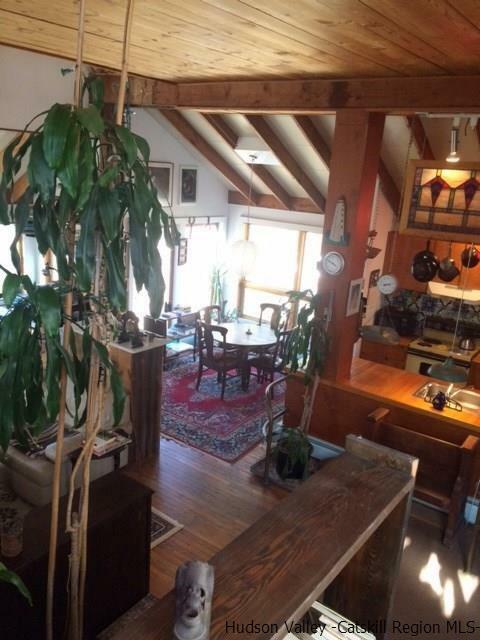 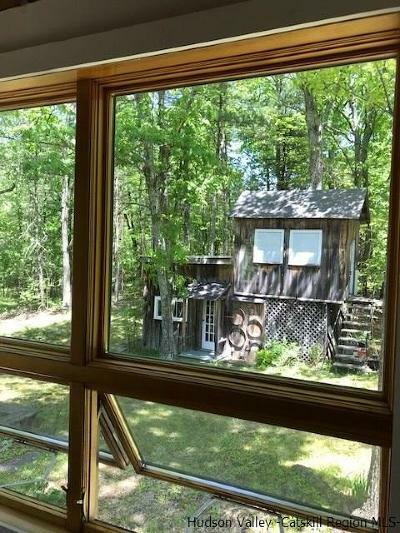 THE STUDIO/COTTAGE WAS AN AFTER THOUGHT OF THE OWNER THAT CAN BE USED FOR BUSINESS OR PLAY. 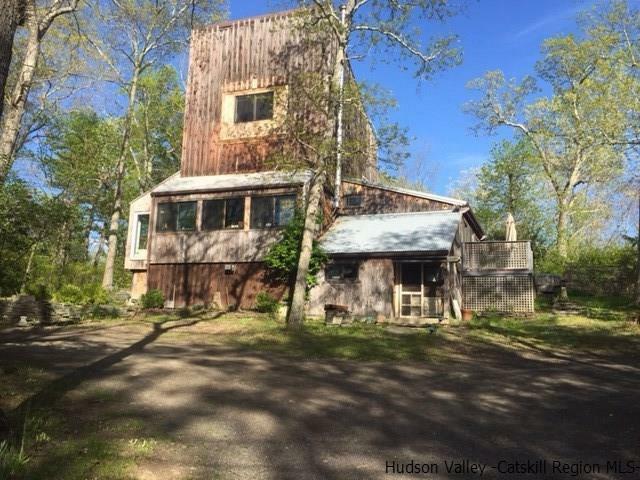 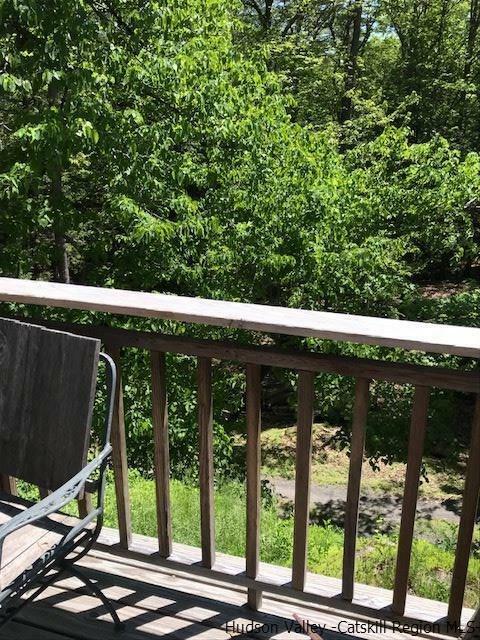 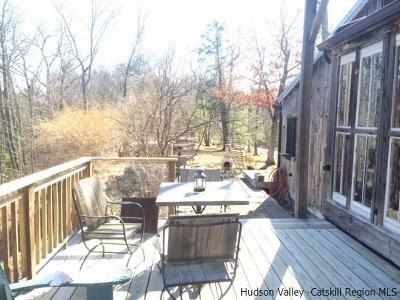 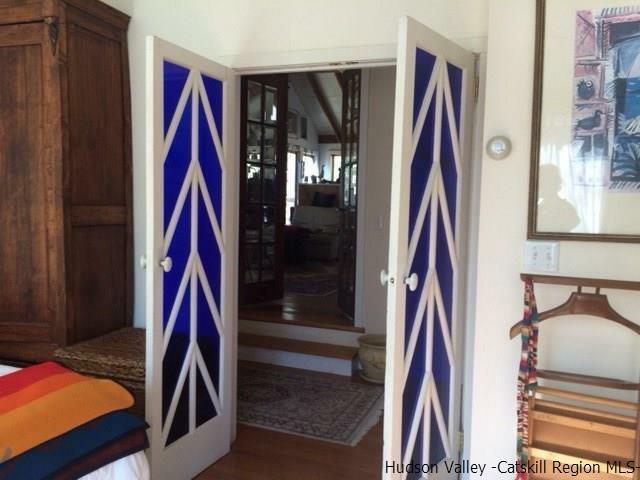 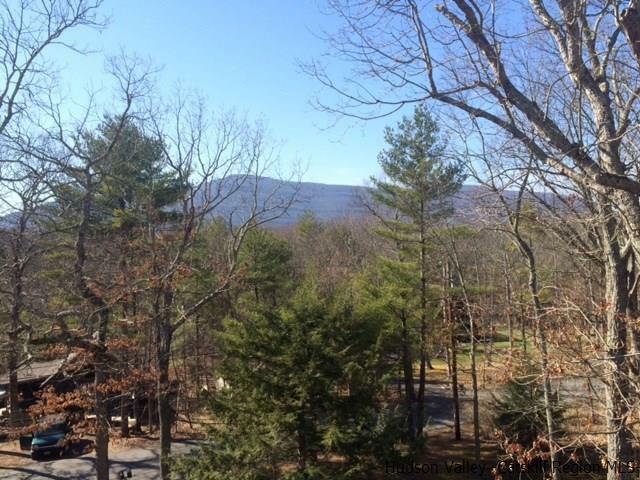 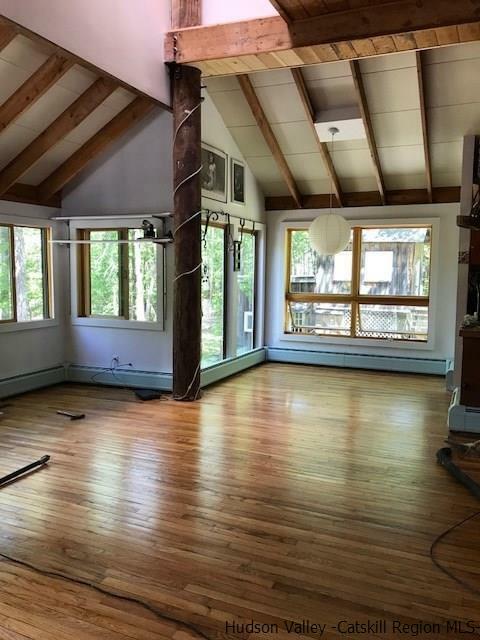 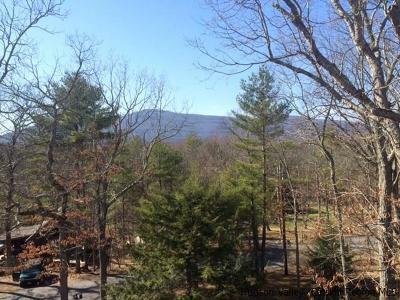 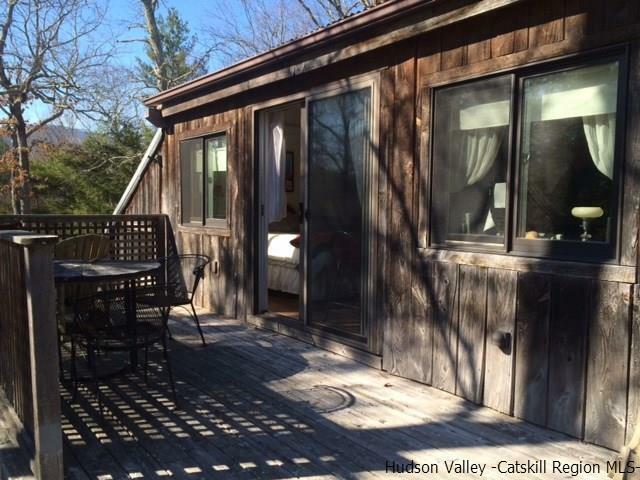 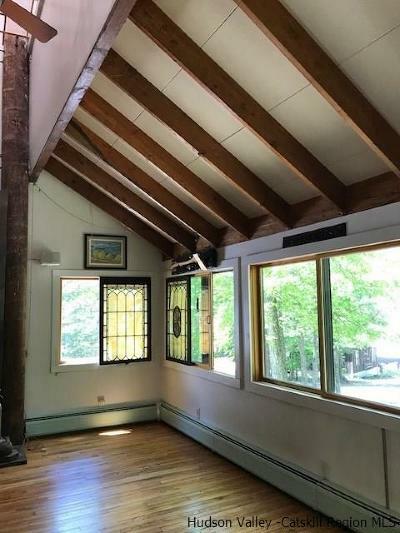 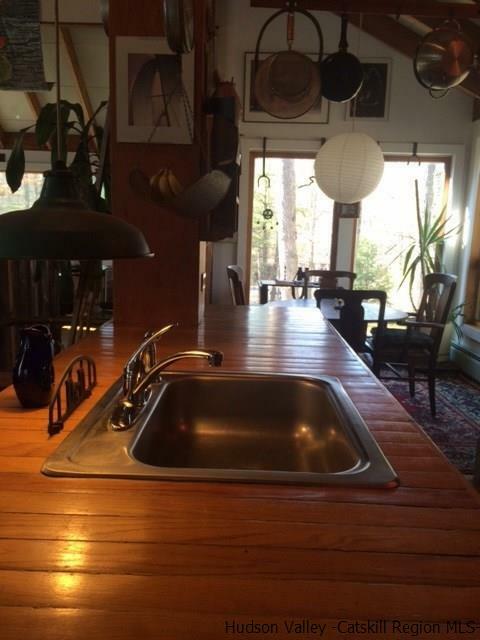 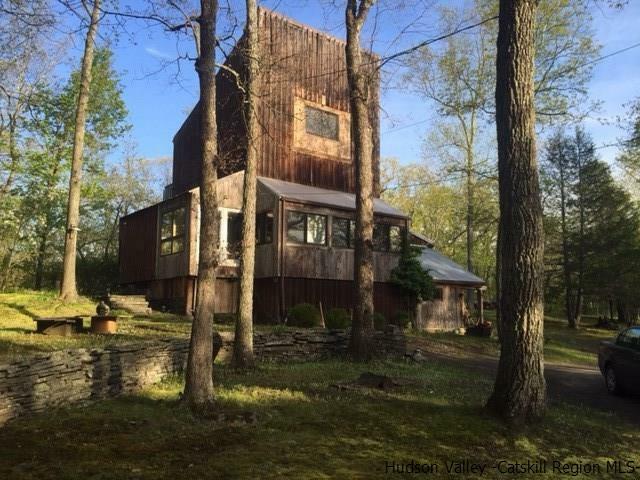 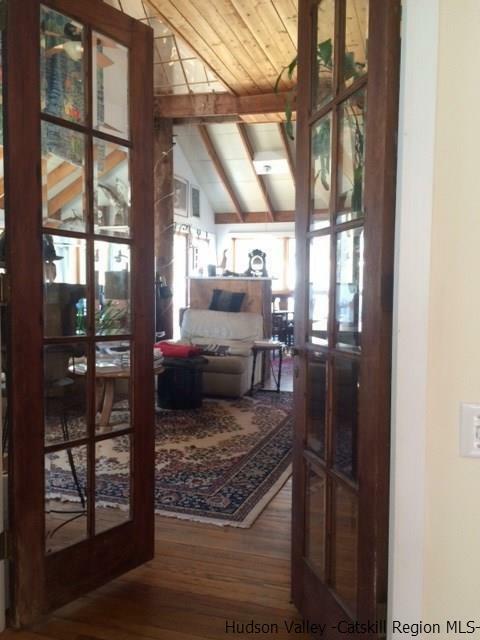 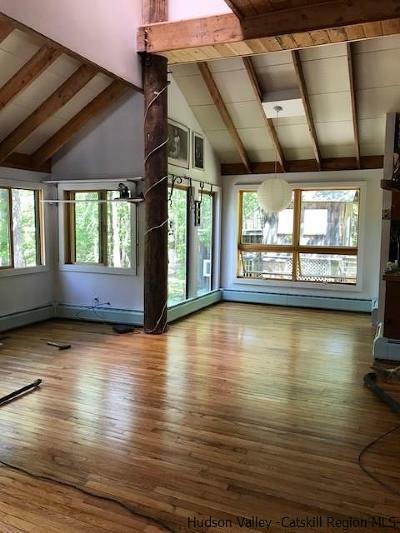 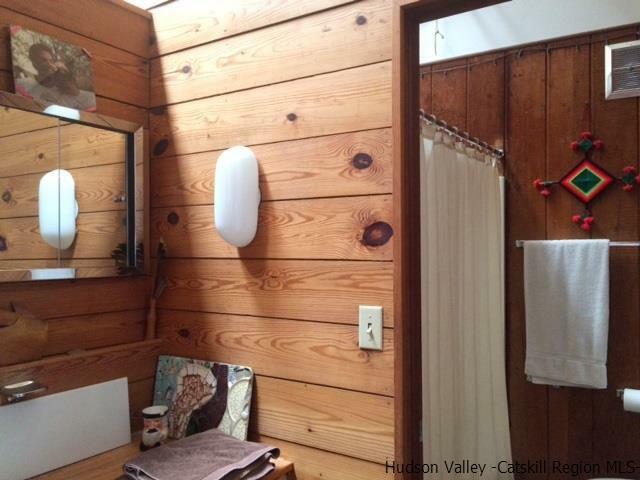 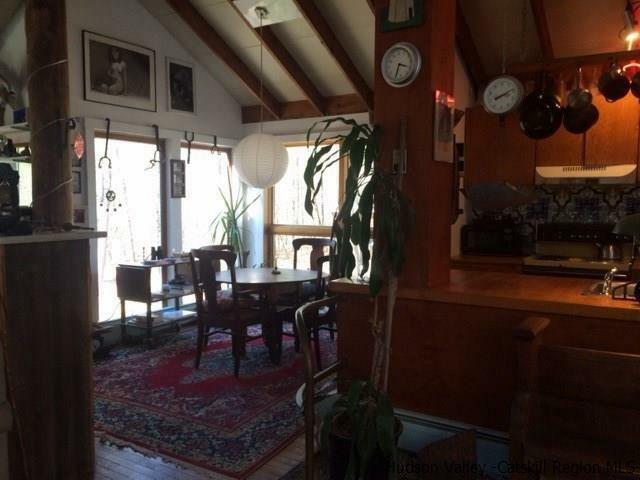 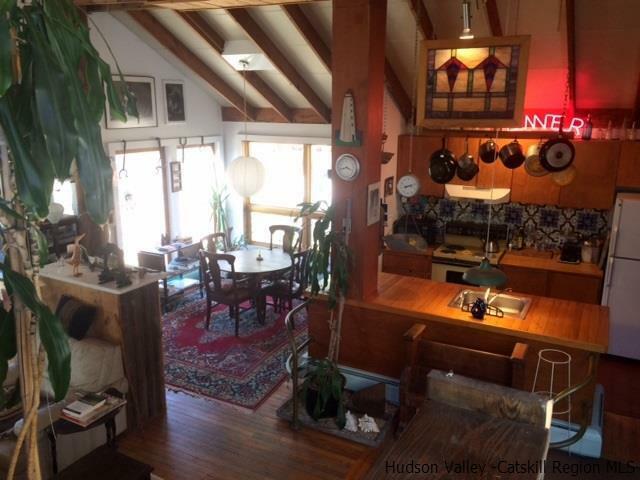 LOCATED ON A QUIET COUNTRY ROAD BETWEEN WOODSTOCK AND SAUGERTIES.